PM Narendra Modi is addressing a public meeting at Silchar, Assam on 11th April 2019. He said that he and his part are committed to implementing Citizen Amendment Bill. But he also said that he will consult with all the communities of the society. 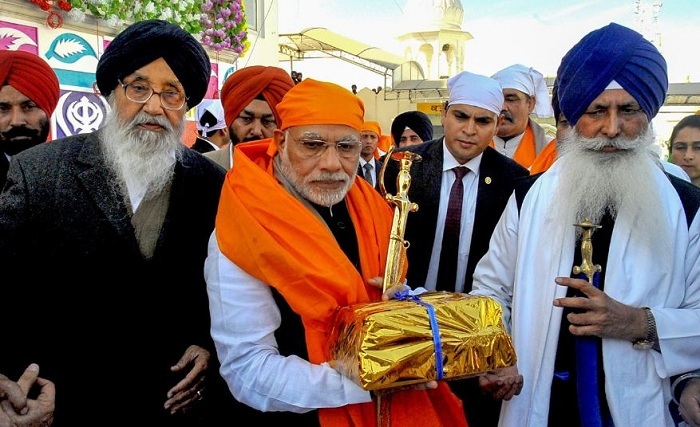 During the meeting, PM Narendra Modi said that Congress failed to think about the minority Hindus and Sikhs of Pakistan due to which they are now being persecuted and forced to take refuge in India. He also said that Hindus and Sikhs have become totally stateless. Besides PM Narendra Modi, BJP leader and Party President Amit Shah also said something similar today. In another rally at Darjeeling, West Bengal Amit Shah said that Gorkhas need not fear anything about NRC. Gorkha sub tribes will be given tribal status in the country, and on NRC, he said is to target only infiltrators and not genuine citizens. He also added that will ensure implementation of NRC in the entire country. We will remove every single infiltrator from the country, except Buddha, Hindus, and Sikhs.